Arrival at Aswan airport or railway Station. Pickup from the airport or station and transfer to board your cruise for three nights sailing to Luxor. Embarkation & lunch on board the cruise. and the Botanical garden and the Agha Khan. Dinner & Overnight on board cruise ship in Aswan. 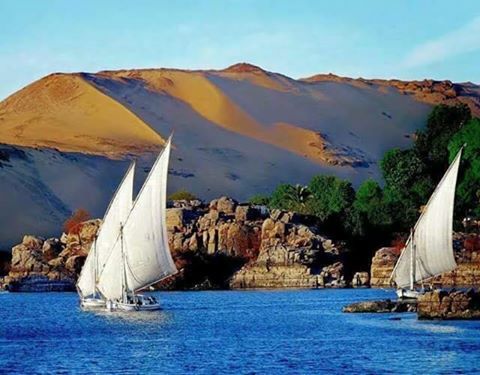 Proceed with the visits of Aswan including the high Damو the unfinished obelisk and the temple of Philae. 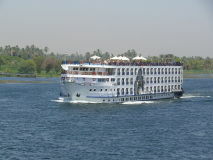 Lunch will be served on board and sail to Kom Ombo. Visit the temple of Kom-Ombo dedicated to gods Sobek and Haroeris. Visit the temple of Edfu dedicated to the god Horus by horse carriage. Lunch on board during sailing to Esna. Cross Esna lock and sail to Luxor. Overnight on board of the cruise ship in Luxor. Optional: Karnak Sound & Light Show. Proceed with the visits of West bank including the two colossi of Memnon – the temple of Queen Hatshepsut at Deir El-Bahari and Valley of kings. 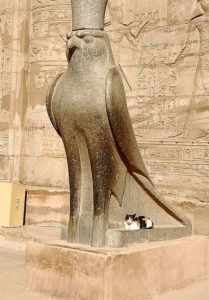 Then transfer to Luxor airport or station. English speaking guide for all the tours will be on board with you. All the services go according to the sailing circumstances. 465 $ per single cabin in 3 nights. 580 $ per twin cabin (two people) in 3 nights.